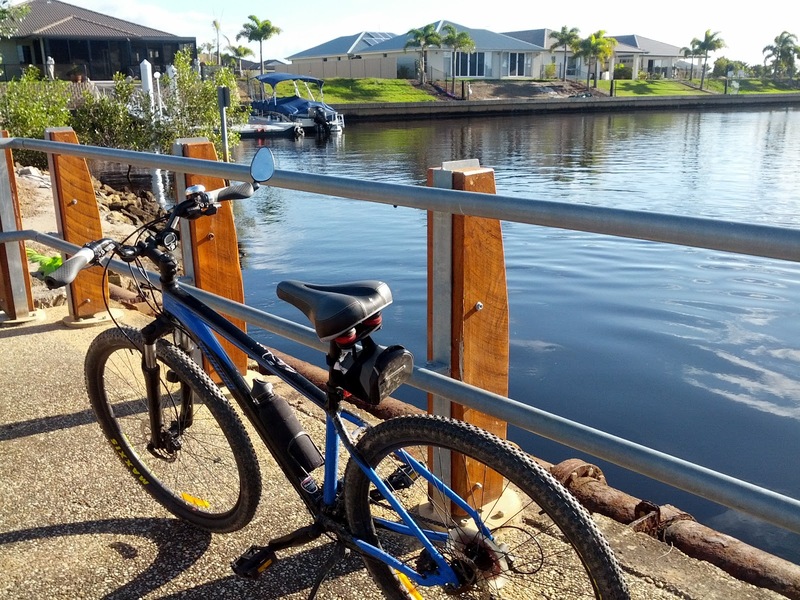 Ride - Along the seaside at Bribie Island. After yesterday's Herculean effort we took it more slowly today. Half an hour north of Redcliffe we unloaded the bikes from the car for an easy cruise along the seaside esplanade and around the southern tip of the island. It never turns out quite the way we expect. 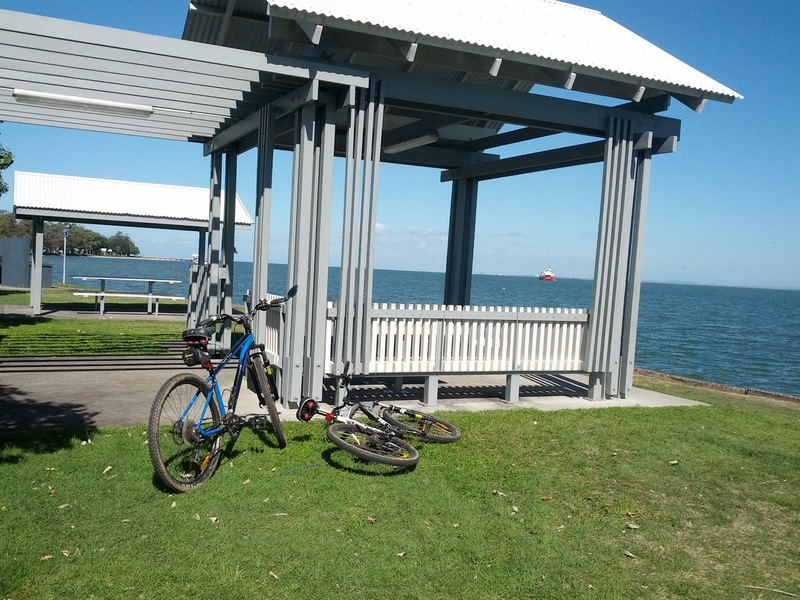 The esplanade path was sealed making for an easy, flat ride but as we rounded the south-eastern tip of the island the path deteriorated to dirt and then ended abruptly at a beach. Today's lesson was definitely - ' read the map legend carefully' ! Our proposed route turned out to be a ride along the sand at low tide, which it wasn't, or a get off and push, which we didn't want to do. We turned around, headed back north and explored the ' Millionaires Mansions' precinct of Pacific Harbour. The millionaires clearly aren't having a good time of it because every 3rd or 4th mansion seemed to be for sale. 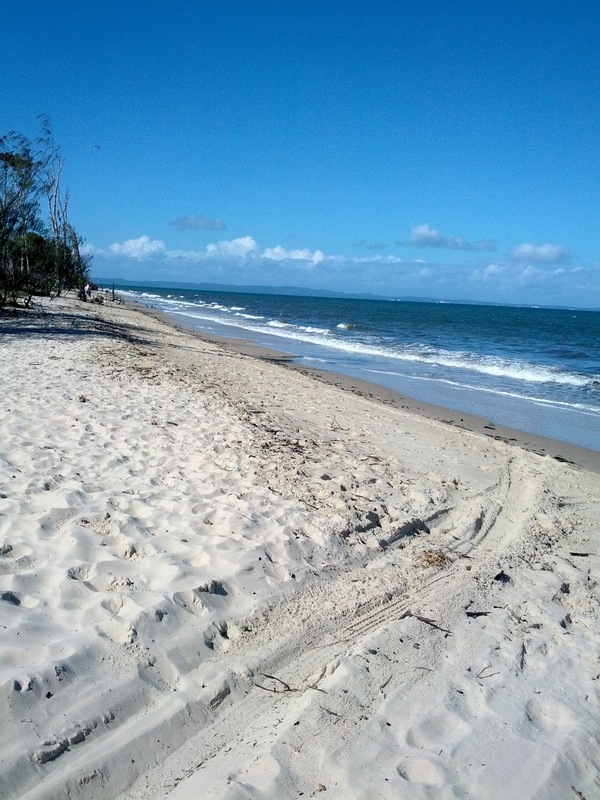 We briefly considered selling up and moving to QLD, it has to be a good time to buy. A picnic by the seaside. Oooppps! - read the map legend next time. Maybe we should move to QLD?